PARIS, April 15. /TASS/. 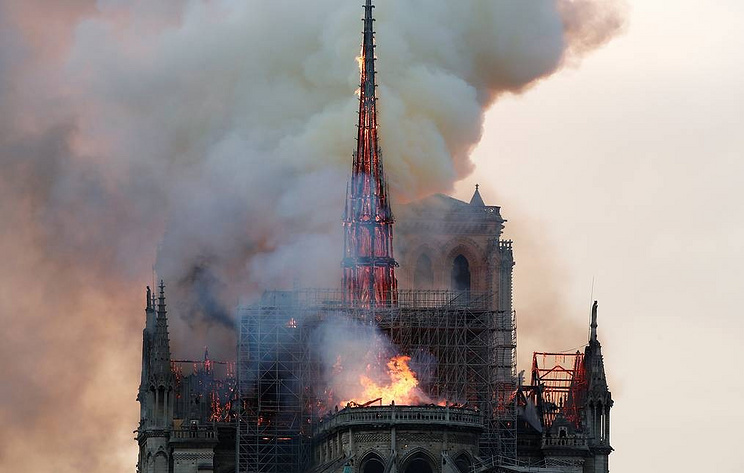 The top part of the spire and the clock of the Notre Dame de Paris cathedral have collapsed as a result of the fire that broke out on Monday evening, the BFM channel reports from the site. Preliminary information suggests that there have been no casualties in the fire, Reuters agency reports. Several hundred firefighters mobilized for Paris' Notre-Dame Cathedral fire-fighting operation. Earlier, TASS reported from the scene that the fire had engulfed new levels of the building and is now approaching its observation deck.